At Appliance Repair Experts, our professional staff of appliance repair technicians are qualified to make the necessary repairs on your electric or gas oven to get it running at capacity again. Our technicians are trained to repair any brand or model. Because some ovens operate by using natural gas, we highly encourage you to call a professional. Gas ovens are more sensitive than electric ovens, and can be dangerous to someone not skilled in this area of repair. We are the preferred vendor of Southwest Gas and will be glad to help you with your oven repair needs. We are available for same day service Monday through Saturday, from 8 AM to 5 PM. Our trucks are well stocked with parts of all makes and models – our technicians are prepared for any repair, large or small. 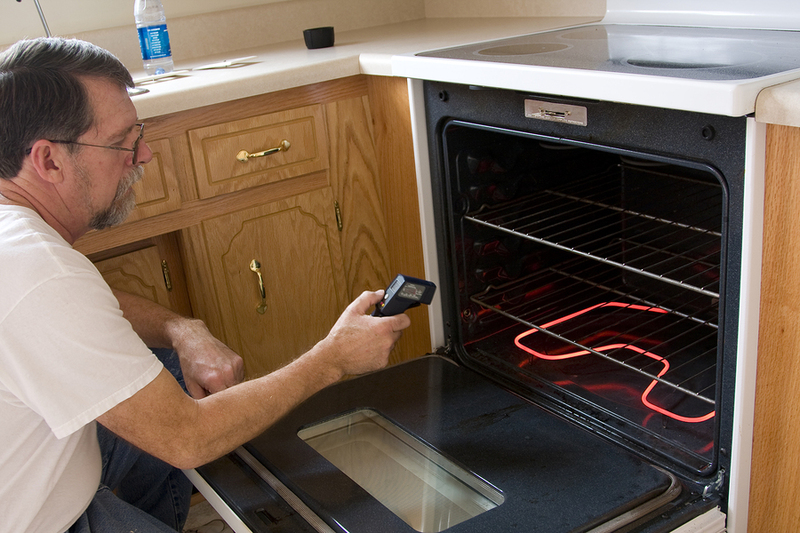 Contact us today if you are looking for the best oven repair service company in Las Vegas. While oven repairs should be serviced by a professional technician, there are some things that you can do to help keep your oven in working order. For optimum performance, keep your oven clean and free of spills. Always use the preheat setting on your oven. If you set the oven to preheat while you are preparing food, there will not be any lag time. Ovens give off heat, so use it less in the summer and more in the winter to help balance out your electric or gas bills. The most common repair on an oven is an igniter replacement. Over time, the igniter will wear out, as it acts as a safety device to not allow gas to seep out of the valve. We believe that your repair experience should be as simple as possible, so give us a call at 702-515-1515 to get your oven cooking today!